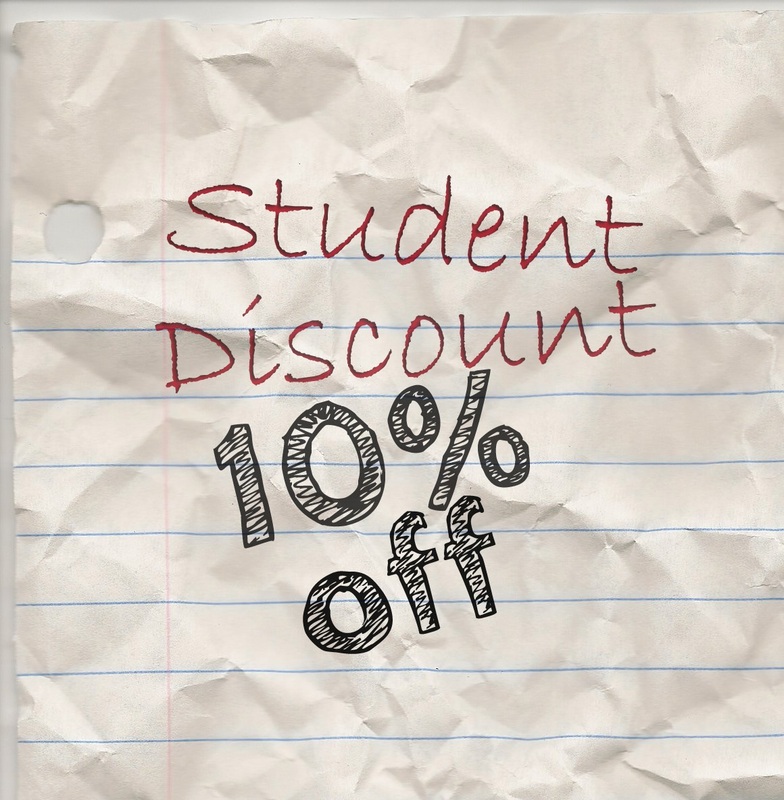 10% off your service. you need to show valid photo id card. 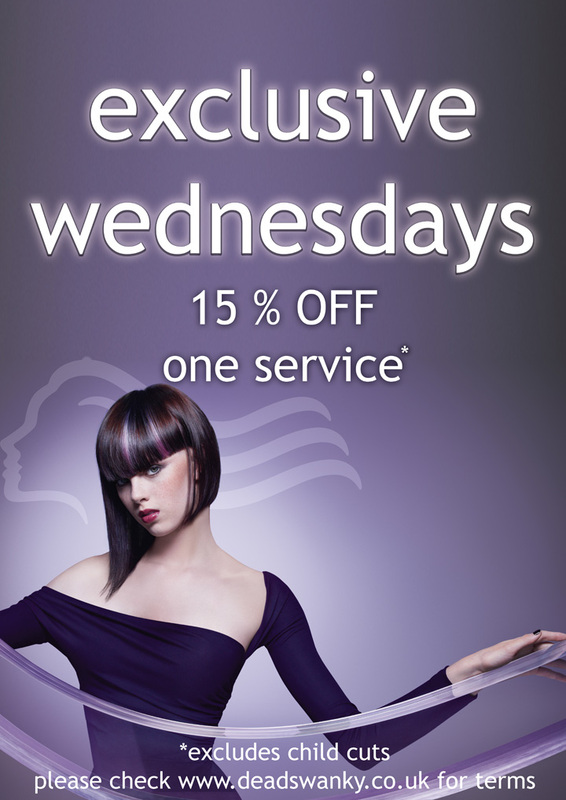 get 15% off your colour service if you have not had colour with us before. Already a client at Dead Swanky Letchworth? 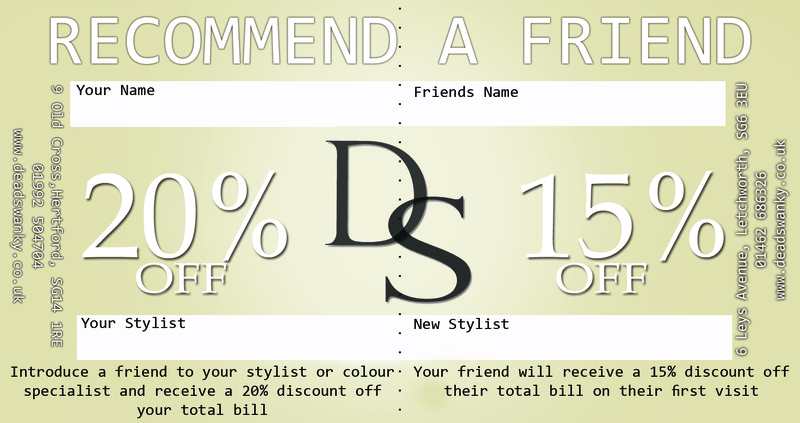 Simply recommend a friend to receive a 20% discount as a thank you from us. Your friend will also receive 15% off their first visit.